Mighty Mighty is a modern day fable set in a crumbling metropolis riddled with urban poverty and violence. Dirty apartments, tattoo parlors, food kitchens – these are the markers of home for the struggling young adults around Chicago. Stefy is an artist at Ghost Town, the local tattoo shop, trying to provide for her younger sister Amanda and their ailing grandfather. Amanda is hoping for something better, seeking to escape a past riddled with addiction and an abusive relationship with Georgie. When he confronts her one drunken night at a dive bar, the situation turns violent: Amanda barely escapes with her life but Georgie lies dead on the bathroom floor. This one mistake puts the two sisters in the crosshairs of Georgie’s father, a twisted, corrupt ex-cop now out for revenge over the murder of his son. His quest for vengeance will make the neighborhoods of Chicago tremble, leaving no one untouched. Mighty Mighty is a harsh and realistic look at the struggle of two families desperately trying to get out from under the heavy boot of violence and poverty. Like the works of Richard Price and Dennis Lehane, the novel is a startling and accurate portrait of contemporary urban life containing an unforgettable cast of characters trying to rise above their situation. Rudolph writes with personality, each page tattooing itself straight on your brain. 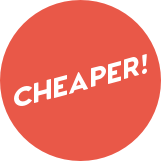 Mighty Mighty has voice, that elusive, unteachable, and beautiful trait. Mighty Mighty lets it all hang out, a boldly affecting story written with flow and swagger, like the best hip-hop. 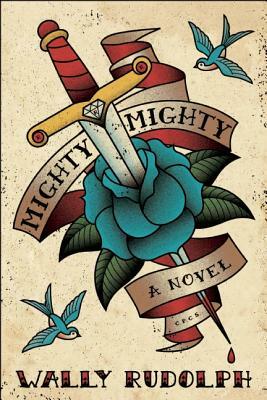 A wild, violent ride of a page turner, Mighty Mighty is also a thoughtful contemplation on how we love and grieve. A beautiful book that wears its messy, empathetic heart on its sleeve. Mighty Mighty is a hard-boiled hat trick of a novel: a searing family drama, a gripping crime thriller, and a raw, unflinching portrait of lives lived on America’s violent edge. Mighty Mighty is a gem: dark, hard, and filled with surprising beauty. It is also noir as hell, filled with the kind of people you always worried were down at that bar on the corner, waiting to turn on you. [Rudolph’s] characters are authentic and impossible to forget. This is a finely crafted novel, rhythmic and flowing, from a writer to watch . . .
[Rudolph] is proving to be an adept voice at capturing the pain and violence of the impoverished. A novel of redemption and revenge, the latest from Rudolph is a fast-paced yarn . . . Rudolph has a knack for crafting characters striving for recovery—from drugs, violence, and poverty. There is much to admire in Rudolph’s prose . . .
Like a fine tattoo artist blending blood and ink, Rudolph engraves portraits of complicated individuals onto the rough skin of Mighty, Mighty with no antiseptic — only the recalcitrant images of real people in pain... A masterful sophomore effort (following the success of Rudolph’s Four Corners), Mighty, Mighty is a love story of human detritus in concrete jungles, intricately inked into a scarred, yet majestic tattoo. Fans of Barry Hannah, Daniel Woodrell, Denis Johnson, and Pedro Juan Gutiérrez will find it hard to put this novel down. WALLY RUDOLPH, born in Canada to Jamaican immigrant parents, had a fifteen-year affair with illicit drugs that caused him to drop out of college and travel across the American Midwest. His fiction can be found in the literary journals Milk Money, Lines+Stars, Palooka, Slush Pile, and The Brooklyner, and in the anthology Literary Pasadena. As an actor, he has appeared in numerous films and TV shows including Street Kings, Bang Bang, and Sons of Anarchy. 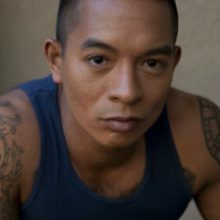 Rudolph is the author of Four Corners and resides with his family in Los Angeles.